Motherhood is overwhelming. There are moments when you don’t know what to do and times where you are sure you are making the wrong decisions. You often find yourself pulled in many directions, unsure if you can be everything to everyone in your life. When I had my son, I opted to feed him formula. I didn’t think this was a radical idea. But I was surprised at the amount of backlash and judgment I experienced for not breastfeeding. I had people ask me if I thought formula was to blame for my sons colic or if he would be more cuddly if I had breastfed him. As a mom who was already overwhelmed the judgment over how I was feeding my son was not something I needed. For me, I choose to formula feed my son because I was planning to go back to work and wanted to make it as smooth of a transition as possible. I had friends who had to pump while at work and knew how hard it had been for them. I also wanted to allow my husband to be hands-on in those first few months when a baby seems to be eating constantly. For me personally, I was so anxious about becoming a new mom that I didn’t want the added anxiety that I felt whenever I thought about nursing. Pregnancy had been a rough nine months for me and I wasn’t emotionally or physically prepared for the idea of being a child’s sole source of nutrition for another year. Formula feeding was the right decision for my family. 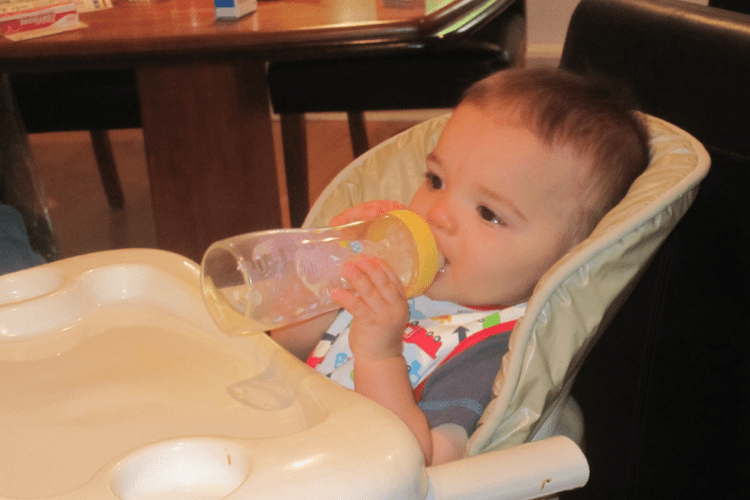 It allowed me to go back to work and leave my son in the capable hands of grandparents and family without having to worry about him not taking a bottle or not having enough milk. It made me feel more comfortable postpartum. Formula feeding allowed me to use my support system of family and friends during the first year. When I later had my daughter, I opted to nurse but, I still supplemented with formula. Supplementing with formula made it easier for me to travel for work, take a vacation with my husband to celebrate our 10 year anniversary and to have a few much-needed girls night outs. There is always a lot of pressure about how to feed your baby. You can find groups on Facebook full of support for moms who are breastfeeding but it isn’t often that you can find much support for moms who are formula feeding. For moms looking for support when breast or bottle feeding Happy Family has an Infant Feeding Resource Center which offers parents direct and free access to the Happy Mom Milk Mentors. The Happy Mom Milk Mentors are a team of Cornell certified nutritionist and lactation specialists, who can provide support no matter how you choose to feed your baby. Happy Baby Organic formula is modeled after breastmilk and contains key vitamins and mineral found in breastmilk. Making it an easy choice for parents who aren’t sure what formula to feed their baby. One of the greatest joys of motherhood is that we get to choose how we parent. And really there is not a right or wrong way to feed a baby as long as they are thriving and mom is thriving then we should all keep our judgment to ourselves. Every mom is different and we all have the right to make choices for our children that work for our families. The first year goes by so fast. Our formula feeding days are behind us now but I still have fond memories of time spent feeding both my babies. And now my feeding battles have more to do with how many snacks my kids want in a day or what food they have suddenly decided they won’t eat and I wish my meal time decisions could be as simple as breast or bottle feeding. Thanks for sharing your experience. It’s so important that we as mothers take care of our own mental health, if we do not feel comfortable with breast feeding, formula feeding is the choice. A happy and healthy mom results in a happy and healthy baby. 🙂 I also had problems with breastfeeding with my first child, that’s why I fed formula. 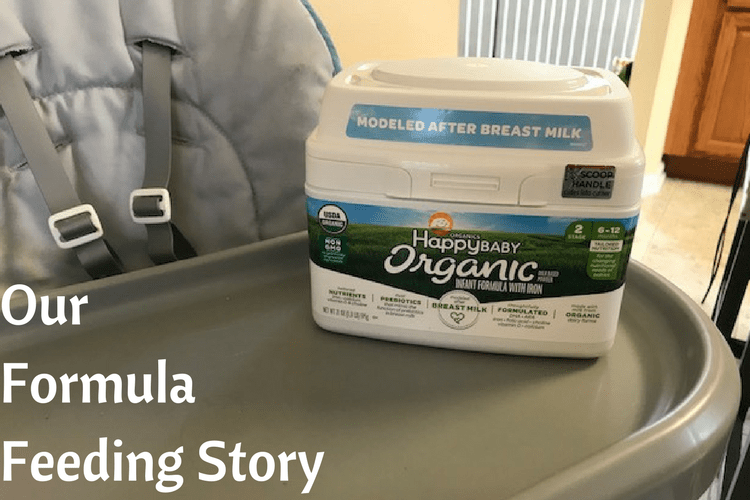 I decided to feed organic formula from organicbaby and it worked out perfectly for my family.